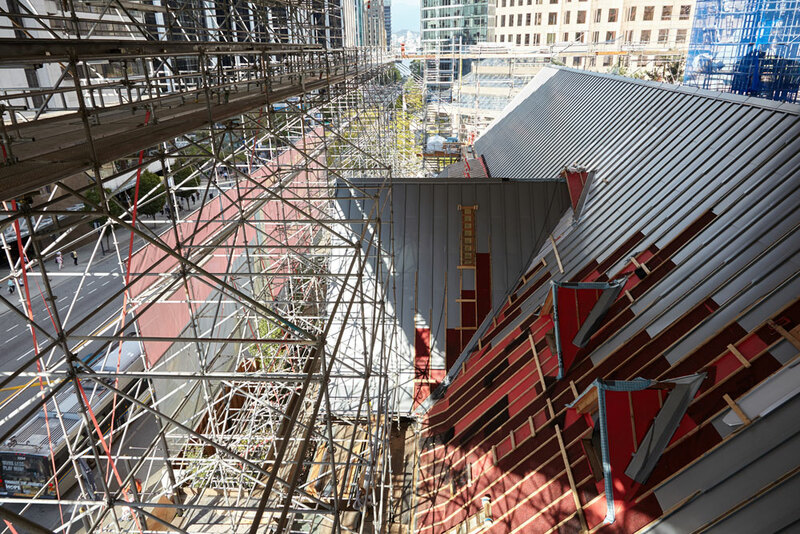 Traditional batten-seam zinc panels quickly met Heritage Commission approval, and are expected to provide more than a 100-year lifespan for the roof. 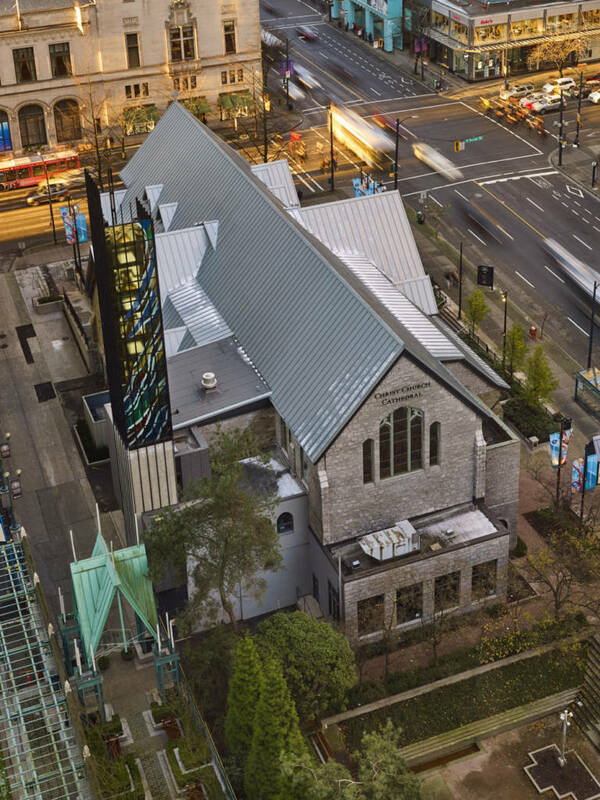 Completion of a reroofing project at Vancouver’s historic Christ Church Cathedral marks the culmination of a massive four-phase, 22-year renovation plan. The cathedral—built originally in 1894—was the city’s first church, and began with a cedar shake roof. Over the years, various additions and modifications were undertaken, but none contributed significantly to the historic structure’s long-term sustainability. In 1995, a formal plan was implemented to make the cathedral structurally sound and meet seismic stabilization requirements. Esthetic and acoustical upgrades, along with basic functional improvements, were also included in the multi-phase plan. Replacement of the roof—the final stage of the extensive renovation—became something of a modern marvel in Vancouver. The entire building was completely enclosed in a massive scaffold and covered with a giant tarpaulin to protect it from the weather as the existing roof was removed. The scaffolding reached 30 m (100 ft) high to allow use of a travelling gantry crane for moving materials to all areas of the roof. Situated in the shade of surrounding high-rise buildings, the zinc panels help repel the rooftop moss common in the Vancouver area. Approximately 1115 m2 (12,000 sf) of proprietary blue-grey zinc paneling was installed using a traditional batten-seam profile. Installation of the panels was done by TEK Roofing of Vancouver. TEK Roofing specializes in the fabrication and installation of natural metals. Its crew on this project ranged from 10 to 20 individuals, depending on the work being done. Kellogg worked alongside his crew for nearly two months of the job, which took 9.5 months in total. TEK spent five months levelling the entire substrate and 4.5 months installing the underlayment and zinc panels, focusing on the dormers and other intense detailing for the last two. Removal of the existing roof required workers to be in full hazmat gear, as the artificial slate material was bonded with asbestos. The felt layers contained asbestos as well, and plywood layers underneath were contaminated by lead dust. A major issue that had to be resolved before the new zinc roof could be installed was achieving a level and true substrate. Over the many years since it was originally built, the structure had settled and shifted considerably—further, the construction methods employed more than a century ago were not nearly as exact as those used today. Kellogg was quick to give credit to another company involved in levelling the structure. The general contractor on the project was Scott Construction Group of Burnaby, B.C. Architectural design was provided by Vancouver’s Proscenium Architecture & Interiors. Renovation of the historic building was deemed a heritage project, and had to meet certain guidelines for approval. The traditional blue-grey color was another reason for selecting the product. “Everyone likes the way the blue-grey [zinc] complements the natural stone on the building,” said Cochlin. Another interesting attribute of zinc that influenced its selection for the project is its ability to repel moss. 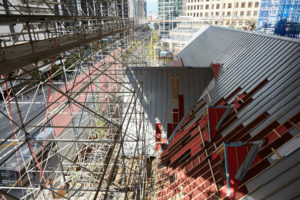 Components of the roofing may be seen below the scaffolding and tarpaulin, which provided much-needed protection from the elements during the installation process. The detailing on the job was complex, with multiple interfacing. According to architect Hugh Cochlin, all of the details were drawn by hand. The drainage system utilized 150-mm half-round gutters with proprietary hangers, outlets, and expansion joints. On several small dormers, 130-mm (5-in.) gutters were used. “It’s a beautiful system, and complements the scale of the roof,” Kellogg said. Another major aspect of the final-phase renovation was the addition of a highly-anticipated bell spire set atop the existing elevator core. The open glass and steel structure housing four custom-cast bronze bells was the last significant architectural addition to the project. The bells were cast in France, and the bell spire glass features a design by Canadian artist Sarah Hall. The bells ring at the beginning and end of the workday, on Sundays, for weddings and funerals, and to mark special celebrations in Vancouver’s civic, interfaith, and multicultural community. 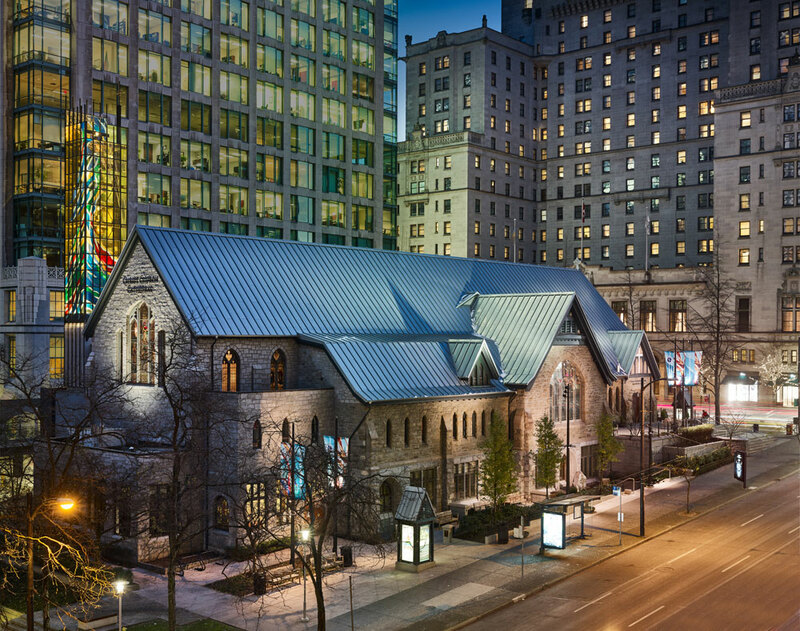 “Completion of the project protects the heritage of this historic and much-loved church, and the bells proclaim the compassion and peace that this place represents,” said Peter Elliott, dean and rector of Christ Church Cathedral. 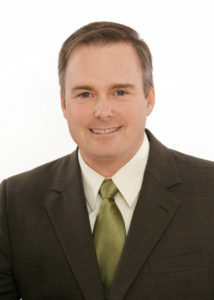 Charles (Chip) McGowan is president of RHEINZINK America, Inc., a position he has held since 2010. He was previously branch manager/product manager for Coastal Metal Service, a division of Beacon Sales Company, and is involved with the distribution of RHEINZINK throughout Canada, the United States, and Mexico, as well as overseeing the RHEINZINK technical training programs. For this project, RHEINZINK’s distributor was Alesther Metals of Burnaby, B.C. McGowan is a member of the Metal Construction Association (MCA), and may be reached at charles.mcgowan@rheinzink.com.